It’s not an event. It’s an experience! 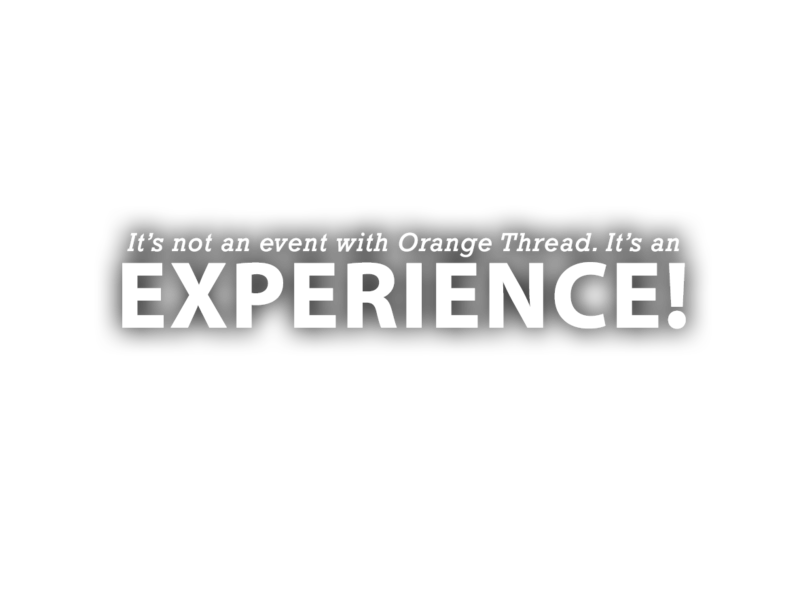 Orange Thread Live is a full service production company where our goal is to help you create unforgetable experiences at your events! Original, innovative, and forward-thinking production design is the start of our team’s process to crafting an unforgetable experience. We value you and your event like it’s our only event. So don’t worry about our team ever seeing your event as the in between of our “other” events. Events are ordinary. Experiences are extraordinary. The difference is that little bit of “extra.” We make sure that “extra” is put into our plan! We focus on people. All people. Our professional, polite, and proficient people are also our priority, so you get A-class service. Every time. ASSOCIATE ATHLETIC DIRECTOR AT BELMONT UNIVERSITY. Orange Thread LIVE strives to provide Nashville, TN and beyond a level of service that raises the bar in event production. Click below on a category to learn more about how we can work alongside your team in providing top-notch event production services on a budget within reach. View all services. © 2019 Orange Thread LIVE. Nashville, TN - Live Event Production Services Company.